Easy all the way this past week and a half. Do you make noodle bowls? These are so easy, take about 15 minutes tops, and rather cheap. They require a skillet and a small saucepan. 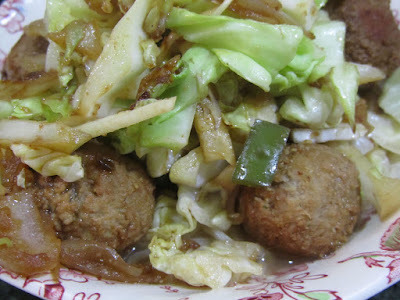 For 2 servings, I used 1 package of ramen soup, 8 frozen cooked meatballs, some cabbage, onion, and green peppers. I seasoned the noodles with about 1/4 of the seasoning packet that came with the ramen, and the veggies with some garlic powder, ginger powder, splash of soy sauce, and 2 teaspoons of plum jam (going for the plum sauce taste). I used the frozen meatballs because I had them, and they're quick to cook. But you could also use potstickers, chunks of rope sausage, any leftover meat, or tofu added to the veggies, or a fresh egg topping each bowl or sandwiched between the noodles and veggies. Any veggies that you would normally use in a stir-fry will work. I used the cabbage, green pepper, and onion because that is what I had. 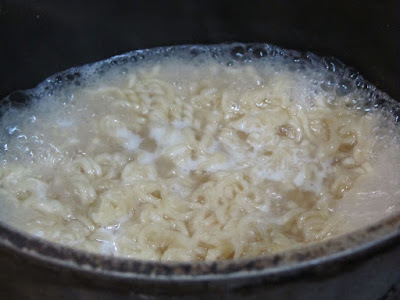 In the saucepan, I used just a portion of the water called for with the noodles, about 3/4 cup of water (a packet of ramen soup calls for 2 cups of water). I brought the water to a boil, then added the package of noodles and 1/4 packet of the seasoning. While the water was coming to a boil, I sauteed the onion, pepper, and meatballs in a little bit of oil in the skillet. When the meatballs were heated through (these were previously cooked and frozen) I added the garlic and ginger powders, splashes of soy sauce, and plum jam, stirring all together. 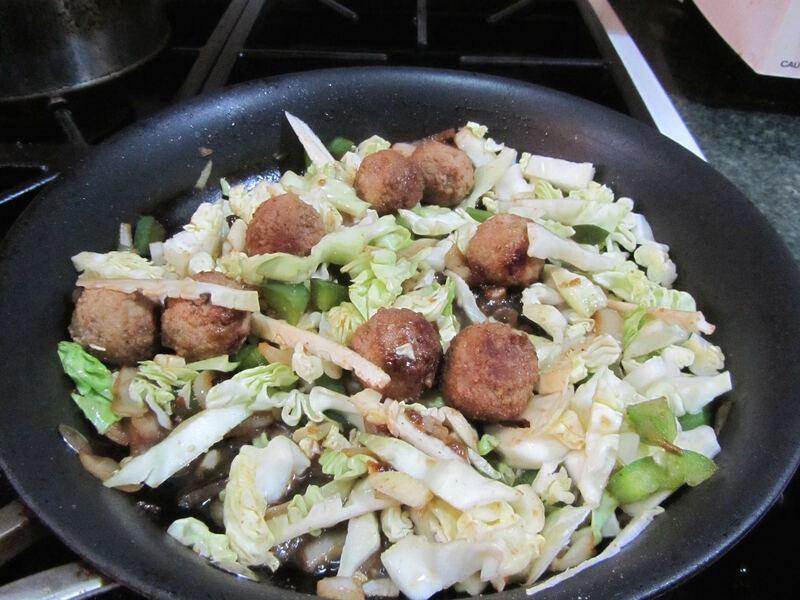 When mixed in, I added the sliced cabbage, and cooked until just tender. When the noodles were cooked (about 3 minutes of boiling), I scooped them and their liquid into individual bowls. I topped the bowls of noodles with the cooked veggies and meatballs. I like a noodle bowl that is not so soupy. If you prefer more liquid, then use 1 to 1 1/2 cups of water, and about 1/2 of the seasoning packet. I had made one of these for my late lunch on Friday. I thought it was good enough to make for my husband and one daughter for dinner that night. Both of them thought it was delicious, too. 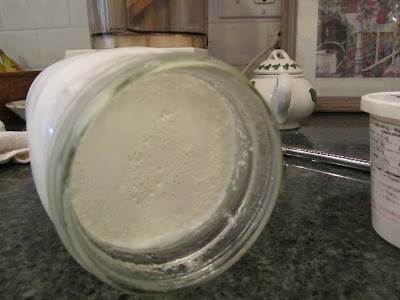 Something that is cheap and easy, using supplies from an end-of-the-month pantry and fridge. It's such a blessing to have those pre-made meals ready to heat and eat, like your chicken soup in the freezer. I am sure yours is delicious and will simplify one of your evenings this week. Enjoy! Thank you, Carol. Have a wonderful week! Another week of delicious sounding suppers. 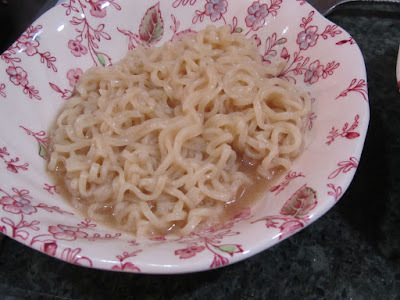 As far as ramen noodles go, when my older son was in college, ramen noodles were his go to food. He eventually expanded the actual cup to add ground beef and a can of spicy tomatoes. This is what he always took to covered dish dinners, office luncheons, etc. It was a hit with everyone. And it was very simple because that was about as much cooking as he ever wanted to do. 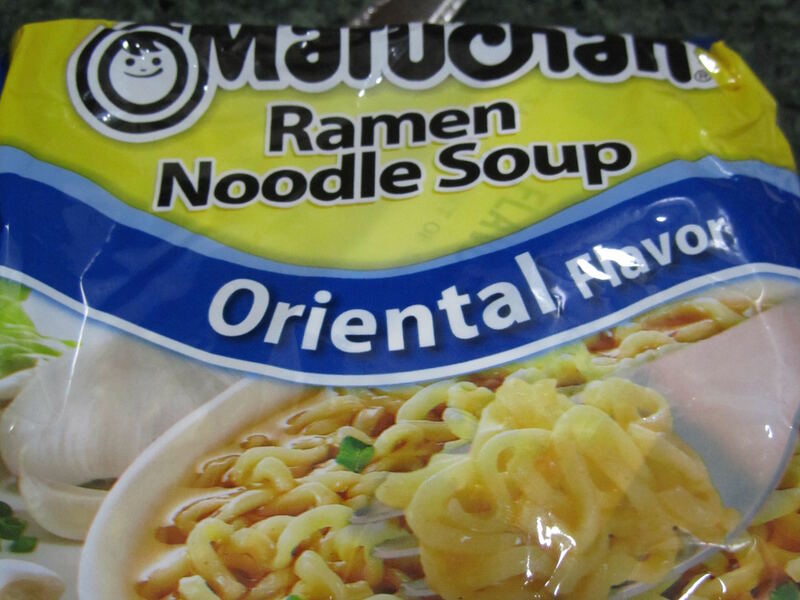 Your son's interpretation of ramen sounds tasty. I will give that one a try. You know, we ate so much ramen when we were first married that I thought we were done with it. Now I'm finding it's really pretty good once you doctor it up a bit. Have a great day, live and learn! Your meals look good as always. I'm not a big fan of ramen but my kids like them when they are home. They jazz them up quite a bit to the point of looking and tasting delicious. They put red curry in there with a lot of veggies and whatever they find in the fridge. So I have purchased a case of ramen so they can enjoy their culinary delights. We've had all home cooked meals this week except one where we had Chinese. MIL was (and still is) very sick so we made big batch of chicken/rice soup using our homemade stock. I found a lot of broth/stock in my freezer and used almost all of it for this soup. We made several corned beef in the Instant Pot and had a casserole and reuben sandwiches. We had casseroles and one dish skillet dinners and we grilled a couple of times. I am starting to prepare my own boneless skinless chicken thighs for grilling and other meal prep. The prices for those are very high but doing it yourself is cheaper. We had a very good grilled chicken thighs this week. My husband is beginning to take on the idea that buying a quick frozen microwavable meal is a good way to shop! NO!!! That is not what we're going to do. So he picked up 4 microwavable meals for .99 each thinking that was a good deal. It's full of stuff I can't even pronounce. I might just serve those to him and make myself a meal from scratch. I hope that your MIL recovers soon. I'm sure this has been worrisome for your family. From what I've read, chicken soup really is beneficial for many viruses. I'm sure yours was not only delicious, but helped your MIL fight her current illness. Those cheap microwaveable meals are so deceiving. The price makes them look like a bargain, but for me at least, they are never enough food -- I am hungry two hours later. They're more like a good snack, and that shouldn't cost 99 cents. I think I could eat two 99cent microwaveable meals for a dinner, and that would bring the cost of a "bargain" meal up to $1.98 per person. I guess, though, that would be less expensive than eating out. I hadn't thought about what the ingredients list looks like. I'll have to check that out when Im at the grocery store, next. There is so much non-food stuff in processed foods. I think that's how manufacturers make the meal taste good, without adding the actual foods and seasonings that do that naturally with home-cooking. Using real foods and seasonings to improve flavor and texture would cost too much in both ingredients and labor. 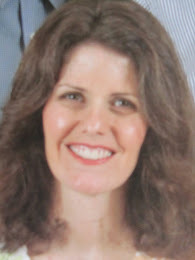 I do find your husband's plan humorous, though. Let us know how dinner goes over, when he's eating his "bargain" meal and you're enjoying a good, home-cooked meal. I somehow missed the ramen noodle craze when I was in college and I never think of using them. Sounds like you have a great idea for tasty meals using them! When you make your overnight French toast casserole, do you make it the night before and then wait till the following evening to bake it, or do you put it together in the morning and let it sit for 8 hours or so? I've wondered before just how soon you can mix it up and store it in the fridge before it gets a little weird, texture-wise. Eggs have been inexpensive lately so egg-based meals are a plus. Enjoyed some great Easter deals on baking supplies today! Aldi had chocolate (and other flavor) chips on sale--the chocolate ones were $1.49/bag and the others were $1.69 so I stocked up! Also stocked up on butter--$1.99 per pound. Seems I have to come up with cookies/dessert a lot so I love getting the ingredients on sale. With the overnight French toast casserole, the more stale and sturdy the bread, the longer it can sit all made-up but not baked. So, this particular casserole was made with several days old, whole grain fry bread, that was a lot like day old bagels in texture. Letting it sit in the egg/milk for 24 hours was about right. If I'm using fresher and softer bread, then just putting it together in the morning to bake in the evening is enough. When I make this for a brunch, I assemble it the night before and bake in the morning, so about a 12-hour period of soaking, while in the fridge. A good homemade bread or French bread would work well for overnight French toast. Commercial sandwich bread would become quite mushy if it sat overnight. For a savory version, you can add onions, peppers, herbs, cheese in layers to the milk and egg for a strata. That can sit overnight, too. Oh, those Aldi baking deals sound great. (I do need to check butter prices around my area.) You'll be all set for baking for a while, now. There is a phase, when kids are school-aged, that it seems like baking is non-stop. The kids and friends/classmates gobble it up as fast as you can bake it all. It's good that you found these deals and can do all that baking, frugally.